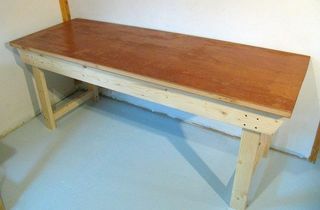 2 2"x4"x7' For cross beams. Cut 3' long each. 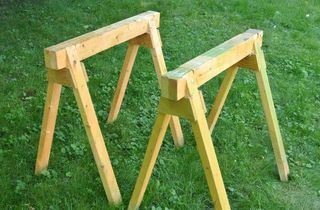 For one pair of sawhorses, cut from two 2x4x7's. Aternatively, buy one 2x4x12', but two 2x4x7' probably cost the same amount. Cut three segments 32" long from each 2x3x8'. 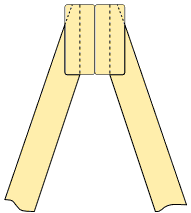 Cut square at first to keep it simple, then cut the miters and the taper. 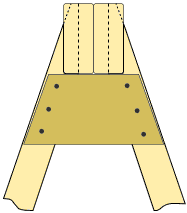 Cut the miter on the bottom end of the legs only half way across. 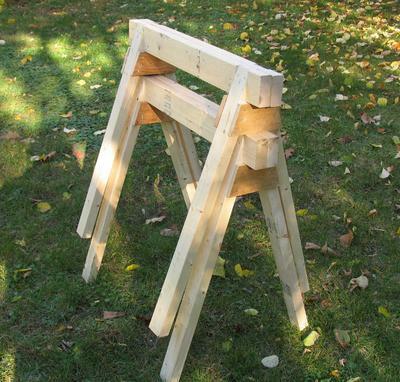 This prevents it from chipping out when the sawhorse is used. 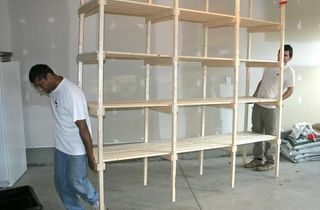 Best made of plywood 3/4" or 1/2" thick, though simple boards would do too.